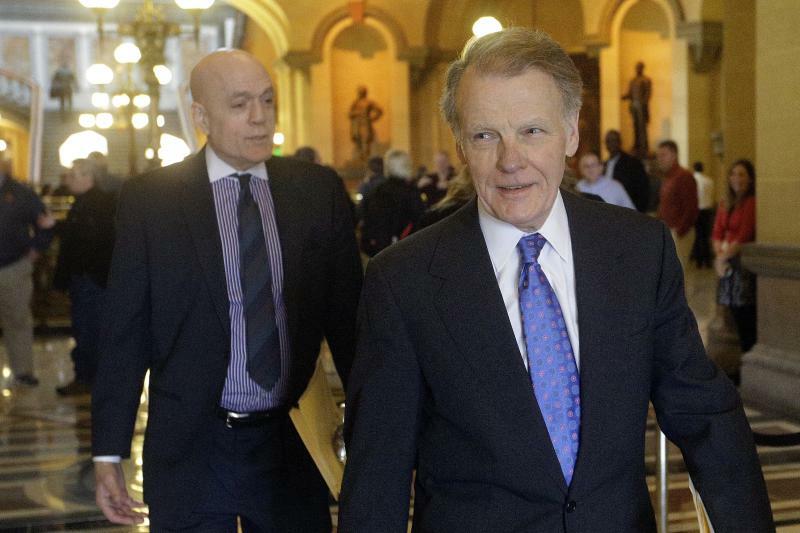 Illinois Speaker of the House Michael Madigan, D-Chicago, right, is seen in this 2016 file photo. The Illinois House voted Thursday to override Gov. Bruce Rauner's vetoes of a budget package. The action gives Illinois its first annual spending plan since 2015. The House voted to override the Republican governor's veto of a $5 billion increase in income taxes and a $36 billion spending plan. The veto overrides mean the nation's longest state budget crisis since at least the Great Depression has ended. The budget is retroactive to July 1—the start of the fiscal year. That's also the date that the 32 percent increase in the personal income tax rate takes effect. Rauner vetoed the measures because he sees no indication that the Democratic-controlled Legislature will send him the "structural" changes he has demanded. State Reps. Dan Brady, R-Bloomington, and Keith Sommer, R-Morton, both voted "no" on Thursday's veto overrides. State Rep. Bill Mitchell, R-Forsyth, voted "yes" on the overrides. The Republican from Bloomington was selected Friday to replace GOP leader Sen. Christine Radogno, who announced Thursday she was stepping down. 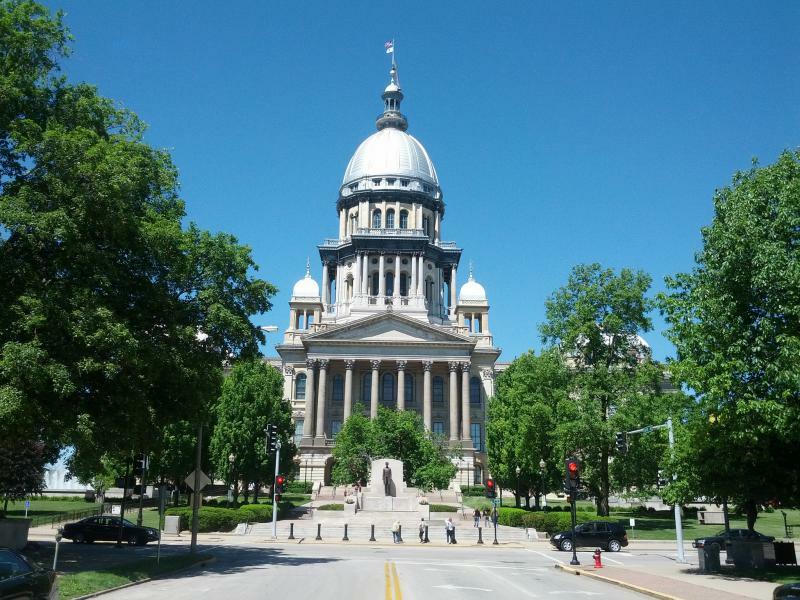 A critical override vote on a package of budget bills was delayed Thursday as authorities investigate a report of hazardous material in the Illinois Capitol.